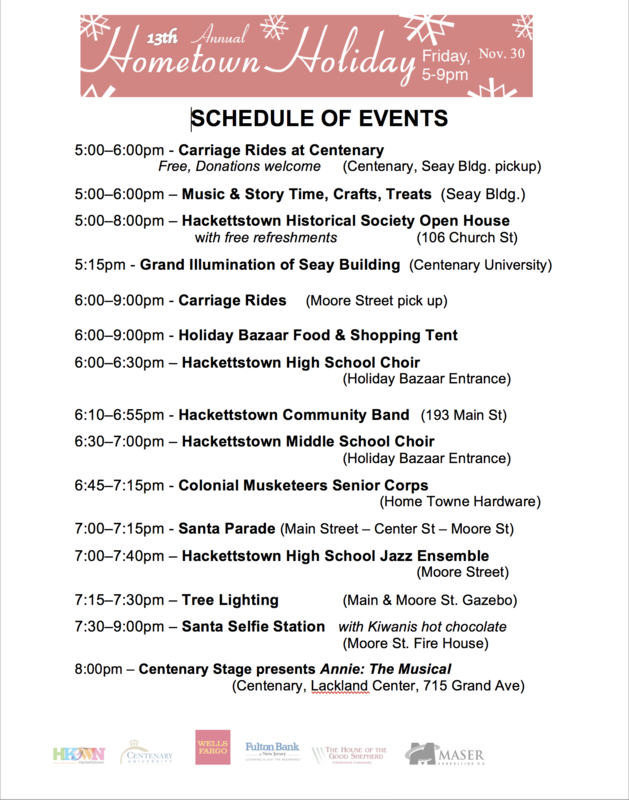 The 13th Annual Hackettstown Hometown Holiday will take place Friday, November 30, 2018 from 5:00-9:00pm. 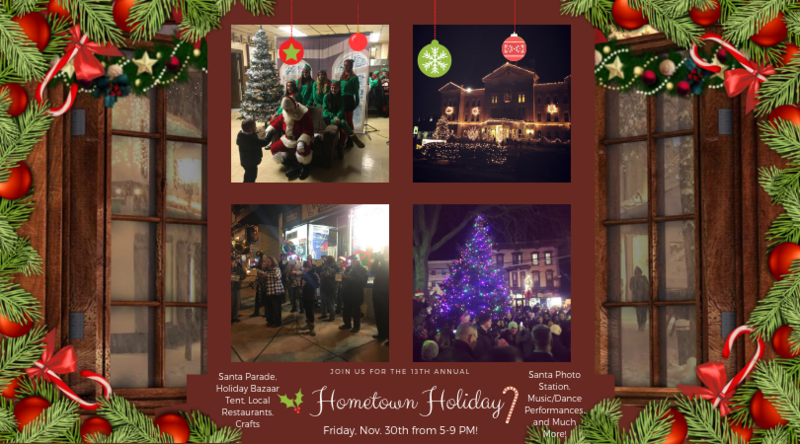 Featuring Santa, local businesses, restaurants, and community groups, it’s a fun night for Hackettstown, residents, and visitors. Starting at Centenary University with Santa and Mrs. Claus in the front parlors of the Seay Administration building for story time, music, snacks and crafts. The evening will continue with the Grand Illumination and carriage rides. Take a carriage to the downtown area and enjoy live musical entertainment, holiday shopping and tasty food. 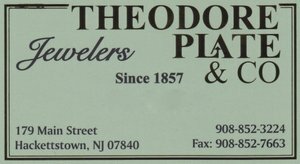 As in years past, Santa will march up Main Street, arriving at the Gazebo on the corner of Main and Moore St. to light the Christmas tree. From there, he and the elves will go to Moore Street Firehouse for free photos with Santa. Throughout this festive hometown celebration, families and others are invited to enjoy singing, music and other entertainment. Activities will start at Centenary University, going from 5:00-6:30 pm, and then continue along Main Street and at the downtown Gazebo area until 9:00 pm (weather permitting). 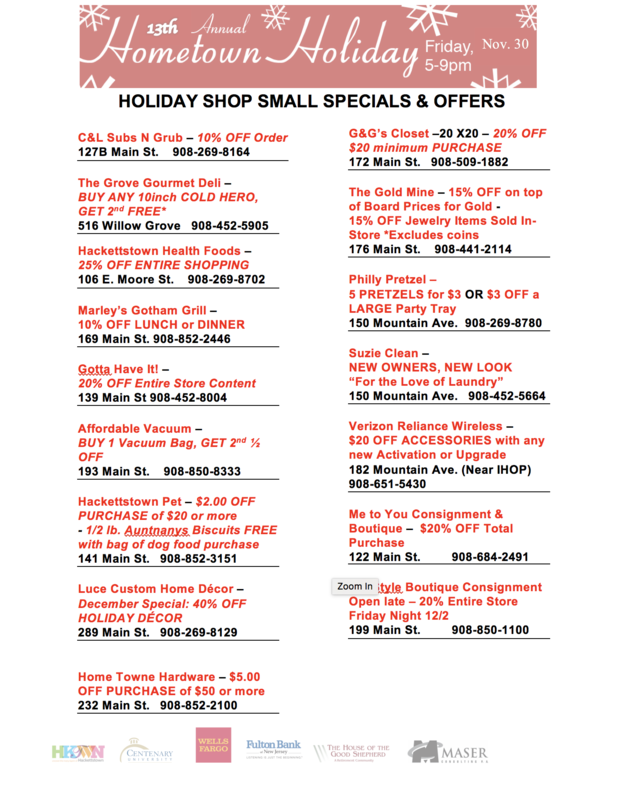 Come enjoy the holiday spirit in Hackettstown, with festivities and shops open late for the night. Rides start directly in front of the Seay Administration Building at 5:00 pm, then starting at 6:00 pm they will take passengers from the Moore Street Firehouse. + Centenary Stage Co. presents Newsies: The Musical at the Lackland Center, 715 Grand Ave.